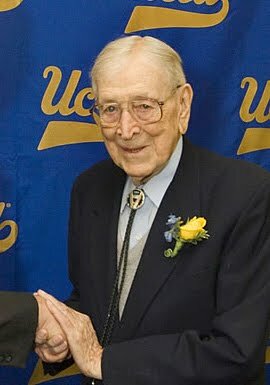 With the start of the basketball season about six weeks ago for most high school players, I wanted to bring out one of my favorite items from John Wooden, legendary Head Coach of UCLA. This list of "Eight Suggestions for Succeeding" has been in many of his books and many of his interviews. In fact, he could be found mentioning one, if not all of these in almost every practice and interview he conducted. All of the players that have played for him know these by heart. As you and your teammates begin pre-season workouts and training not only will these eight points keep you and your team focused, but you will also become a much stronger individual and team if you use these in your daily life as well. Next Monday we'll be detailing each of these points and what they mean on and off the court. 2. Remember, it's the perfection of the smaller details that make big things happen. 7. Know that self-analysis is crucial for improvement.